You love sleep—who doesn’t? But there’s definitely a difference between appreciating the blissful feeling of sleep and always craving it like you desperately need it. 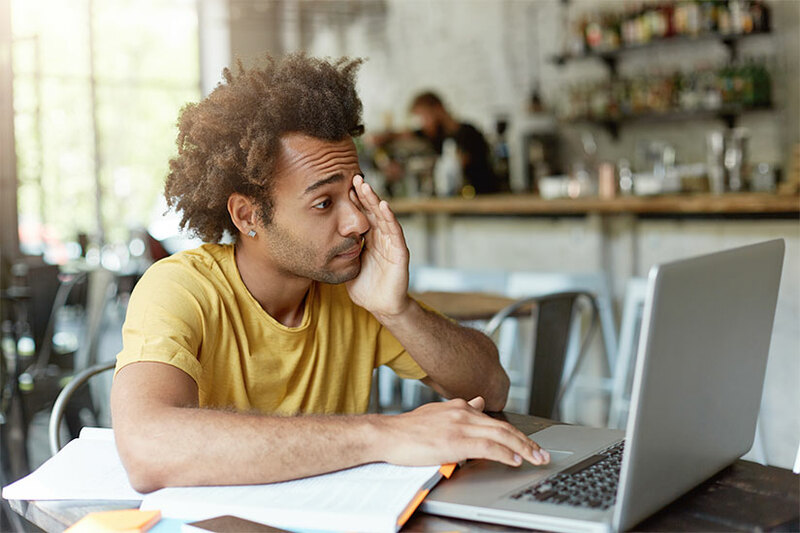 If you feel like you can’t get through your simple, everyday tasks without heavy eyelids, here are 5 tips from our friends over at Barnes & Noble College’s blog the College Juice on how to beat tiredness. 1. Adjust your nap length. Believe it or not, Sleep.org lists the ideal nap length as only 20 minutes long. That’s just the right amount of shut-eye to get that refreshed, energized feeling when you wake. Once you snooze longer than that, you start hitting those deeper stages of sleep that leave you waking up groggy and tired. Even a little bit of dehydration can make you feel fatigued. Make sure you’re drinking about 8 glasses (2 liters) of water each day. We recommend starting as soon as you wake up in the morning. After all, you’ve just gone a full night without having a sip! You might think of exercise as tiring and exhausting, but it’s actually quite the opposite in the long run! Regular exercise increases your stamina, so you can get through your everyday tasks without feeling completely diminished. 4. Take a look at your diet. Diet has a lot to do with your energy. First of all, are you eating breakfast? Think of it as the fuel you need to start your day. Other than that, make sure you’re eating foods with iron (leafy greens), complex carbs (oats and whole grains), and protein (eggs, soy, nuts, etc.). Those are known energy-boosters. And while you’re at it, steer clear of fatty and sugar-filled foods that only make you feel sluggish and groggy. Even if you’re getting a full 8 hours of sleep, your busy schedule during the day might make you feel burnt out. How are you spending your time from the moment you wake up until you head back to bed? If your day is filled to the brim with responsibilities, and you’re still looking for techniques on how to beat tiredness, think about adding more “me” time to your schedule. Check out Barnes & Noble College’s blog, TheCollegeJuice.com. Do you know how to overcome tiredness and sleepiness and want to share some tips? Share with us on Facebook.